The Happy Baby project in Ghana is being implemented by Dr. Brenda Zarhari, who is pursuing a doctoral degree in nutrition and breastfeeding. The former global director of Happy Baby, Mr. Henrik Norholt (PHD) met Dr. Zarhari at the Normal Labor & Birth Conference in Grange in 2015. This conference is normally attended by the most advanced international midwifery and prenatal health researchers. The first phase of the Happy Baby project in Ghana was conducted in Forikrom, Techiman in the Brong Ahafo Region in June 2015. 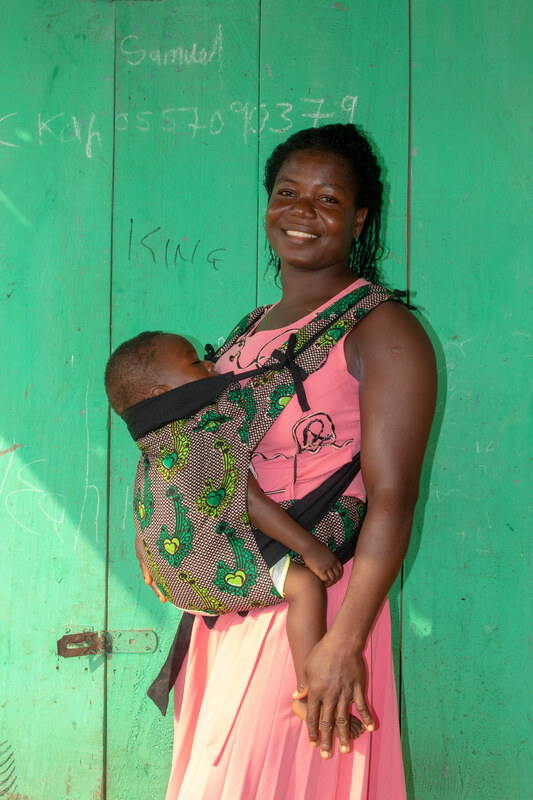 During this initial phase, the project trained five (5) tailors to make the carriers, selected 10 ambassador families (both couples included) to test and provide feedback on the carrier and engaged 13 healthcare workers in discussions on the advantages of bonding and baby carrying. The second phase of the Happy Baby project in Ghana was conducted with the Catholic Action for Street Children (CAS Ghana) in the capital Accra. CAS Ghana convenes and provides skills training for street children and young street mothers in the Accra area. The ongoing collaboration between Happy Baby and CAS is focused on providing add-on skills to young street mothers, as well as educating them on basic knowledge on breastfeeding and bonding benefits for themselves and their babies in a very poor and harsh environment. 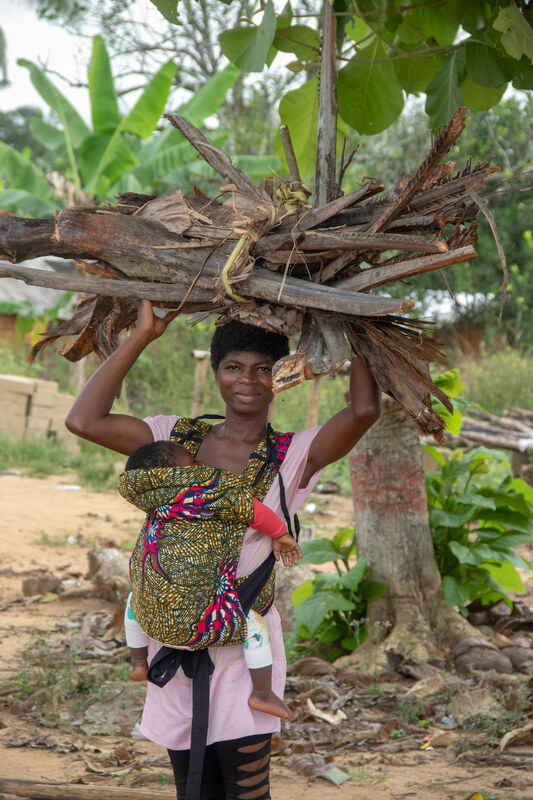 In December 2016 Happy Baby finished a small project in Cape Three Points, which is a remote and very poor village in rural Ghana. Happy Baby Carrier designer, Cansu Akarsu, had the opportunity to visit the village through her husband’s work for an Ecolodge nearby. Cansu Akarsu has educated the community on the benefits of bonding between parent/infant – and has trained one head trainer how to make the carrier. This particular woman is now a certified Happy Baby trainer. In the village, they have been able to produce a number of carriers, which are sold at a nearby lodge to tourists. The idea is that the profit from the sales will go back to benefit the village.